BMW today announced a new version of Crossover X1, which will become part of a family of Performance M. The car will be the fifth model in the new line of BMW. In addition to the name of the X1 M35i xDrive also receive a 3.0-liter gasoline engine V6, which produces 320 horsepower capacity. High performance due to the fact that the new crossover BMW plans to sell in the U.S. market, where diesel engines are least efficient, and a car with a moderate volume of the engine is still not as popular. BMW X1 M35i xDrive get a new suspension, improved brakes and a more aggressive appearance. In addition, we can expect new options in terms of electronics. It should be noted that recently, Audi has announced its intention to release a "charged" version of the Q3, which will receive a 5-cylinder turbo engine with a capacity of 310 horsepower. 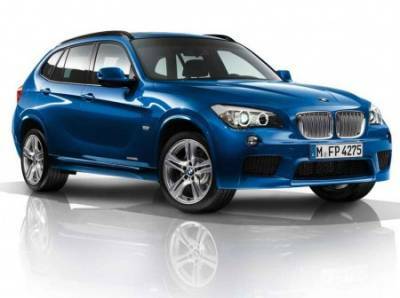 This model may be the main competitor of BMW X1 M35i xDrive.